Rating: ★★★☆☆ Unremarkable (but complete) as a stand-alone story; nevertheless, it's a strong start to the series. 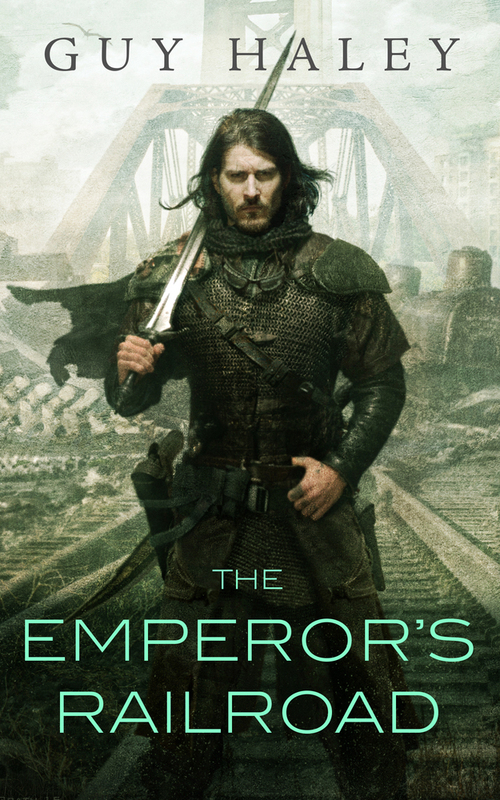 "The Emperor&apos;s Railroad," by Guy Haley [bio] (edited by Lee Harris), published on April 19, 2016 by Tor.com. Pro: Even though this is part one of a series, this story definitely stands by itself. Quinn is the protagonist of this story (Abney is only the narrator), and he succeeds in delivering the boy and his mother to Winfort, and although the mother dies, he does manage to save the boy--at the expense of killing a dragon. The narration and dialogue are good, and the setting is interesting. I'm eager to see where Quinn goes from here. Con: Whatever is driving Quinn, we never learn it. He's obviously seeking some absolution for something, and he does not achieve it here. Presumably that'll be covered in later stories. The dragon was a little silly.